The EPA is investigating racist messages scrawled on a whiteboard in EPA headquarters, the agency’s chief of staff told employees in an all-hands email Monday, adding that such language will not be tolerated. “We have diversity training but nothing that addresses, for lack of better words, when hateful language is being used it creates a threatening atmosphere, a hostile environment, where employees are concerned about their safety,” Nate James, president of the union known as AFGE 3331, told ABC News. James said the racist messages were written on a shared calendar in the Office of Public Affairs. EPA leadership and the union both became aware of the incidents last week, which were then reported to the inspector general’s office and EPA security. “EPA has no tolerance for racism and will investigate and hold the individuals who are spreading these messages responsible. Concerning the most recent instance, EPA is taking every measure to both find who did this and protect our employees,” Jackson said in the email, which was first reported by Government Executive. The union’s Nate James said officials don’t know if the messages were left by an EPA employee or a contractor, but there no indication it came from someone in that office. 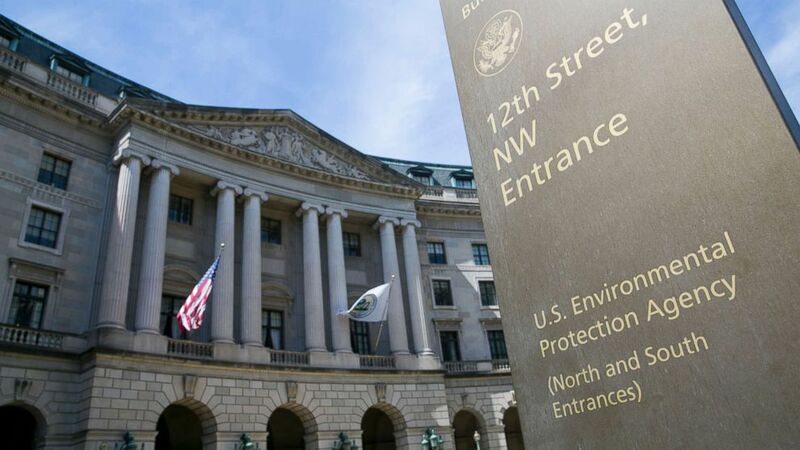 When asked about a lack of response to prior incidents a spokesman for EPA said previous incidents were reported to career staff but the agency’s political leadership only became aware of these incidents last week and moved quickly to address them. James said there have been emotional conversations about the impact of the messages among staff since they were reported last week and that he’s pleased EPA leadership responded so quickly. Politico first reported that EPA staff filed a complaint after at least four racist messages appeared on a shared wall calendar in the agency’s public affairs office since August. The EPA inspector general’s office confirms the matter was referred to them late last week and they are considering how to move forward.